Did you know you can eat out the whole month of March for less than $30 per person? Yes it’s true, Portland Dining Month has returned once again! This time there are 99 restaurants to choose from! Yes, more restaurants than there are days in the month of March! Oh how I love my city Portland Oregon, such a food city with so many options! This is really a great way to experience at a fraction of the usual price. 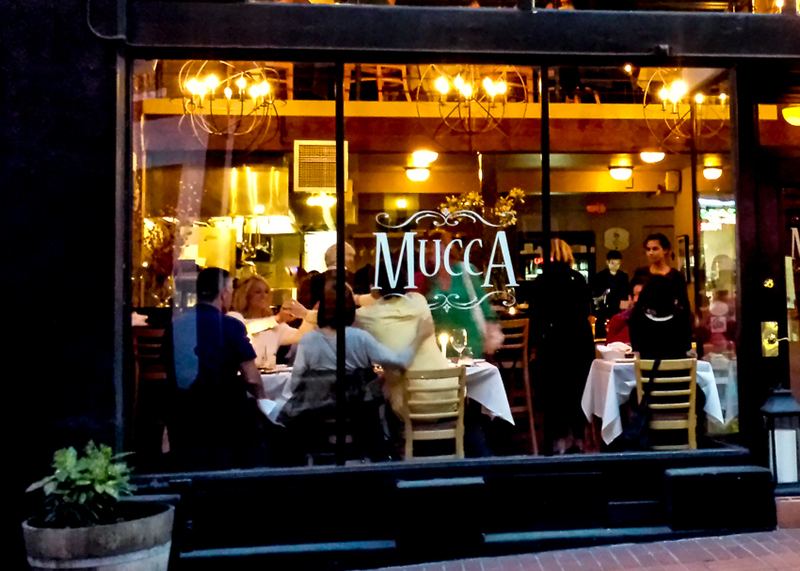 We had the chance to go to Mucca Osteria via a giveaway we won from Portland Bloggers! How is it I’ve never heard of this Italian place before? I grew up here in Portland, constantly write reviews for Yelp and we are always hitting the town on the weekends for new places to dine at. This place must have slipped my radar! 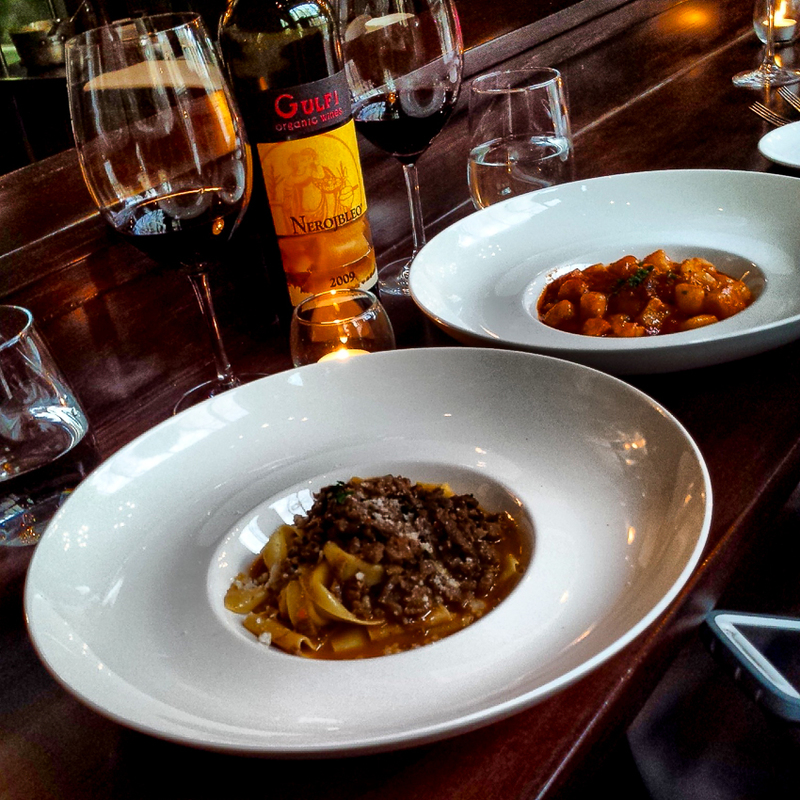 Well, the value at Mucca Osteria this month is amazing! Their entrees range from $18-$22 usually, but if you go this month, you also get that entree, an appetizer and dessert for $29! 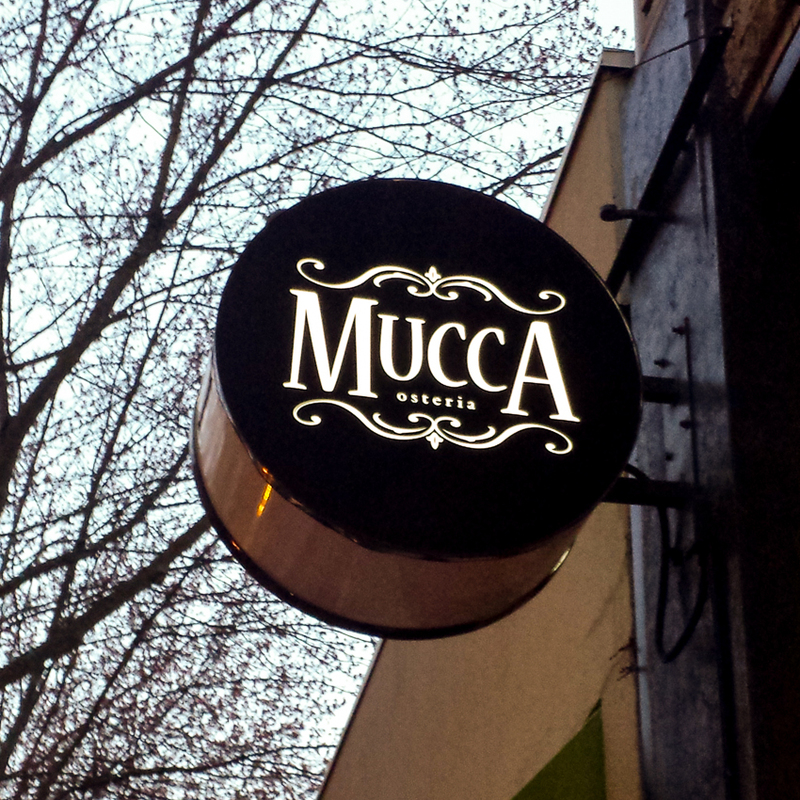 Mucca Osteria is a cute little place on SE Morrison on the east bound max line. With only 20 tables, it’s very intimate and cozy. We were lucky on a Thursday night and sat right at the bar over looking the open kitchen. I do recommend reservations if you try and go on a weekend! 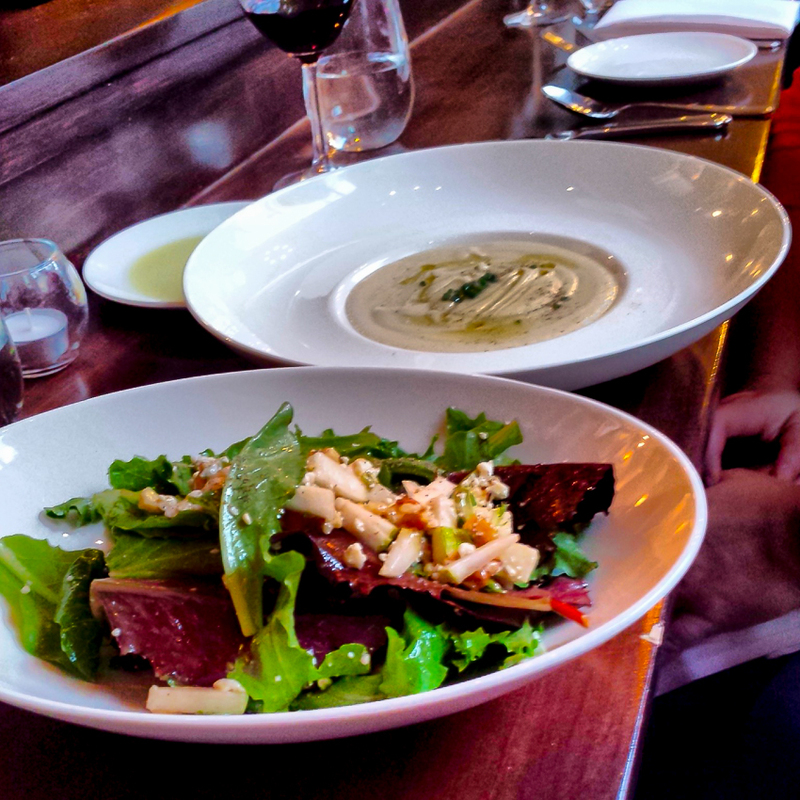 Our first course was a parsnip puree and a pear and walnut salad. Served with bread they make in house everyday and some olive oil for dipping, it was the perfect start! The puree was seasoned just right. Next up we had Pappardelle al cinghiale: egg pappardelle pasta with slow-braised wild boar ragù, and Gnocchetti all’Amatriciana: potato pasta with guanciale, Pecorino Romano and San Marzano tomato sauce. Both dishes were amazing! The Pappardelle was a little rich for me, but Andrew loved it! To end the dinner, we had dessert that was out of this world! Tiramisù: Savoiardi biscuit, mascarpone cheese and espresso and Panna Cotta with Tahitian vanilla beans and organic seasonal berry sauce. This was the perfect ending to our dinner. 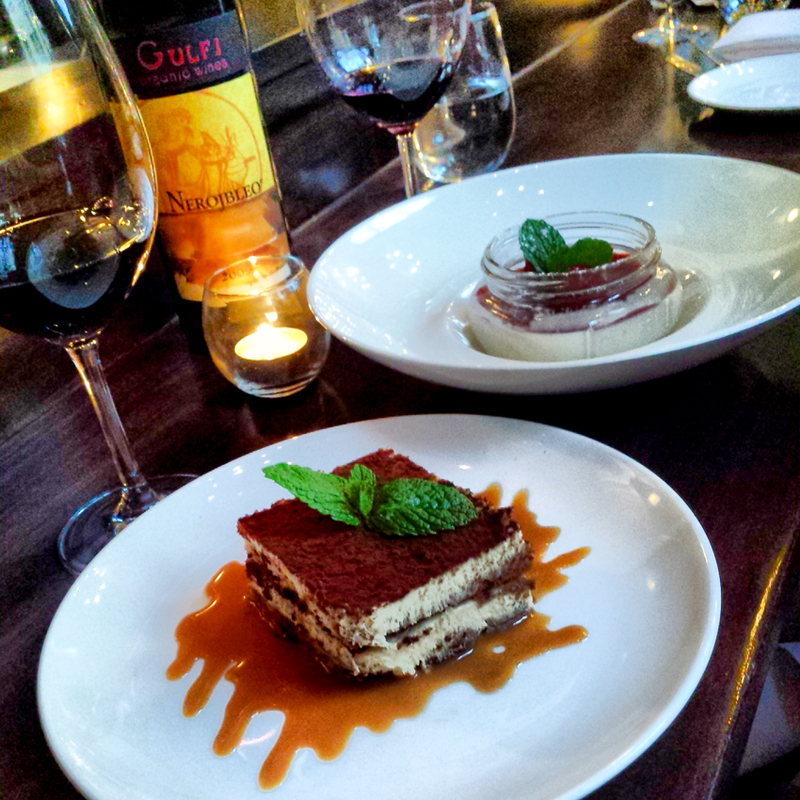 The panna cotta was the creamiest I’ve ever had and the Tiramisu was perfect also! 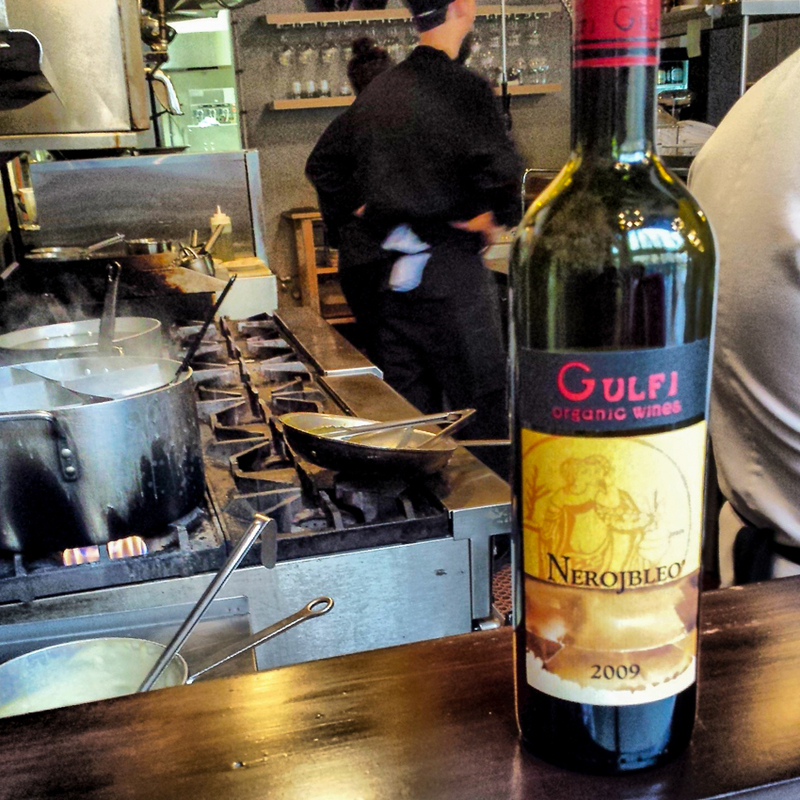 If you have not experienced Portland Dining Month, you are really missing out! So many great choices this month to choose from. With the month half over, you should go like right now! You won’t be disappointed! We got to go to Red Star Tavern with the gift certificate we won! :) This one sounds really good, too!